Sure - but it can be possible done with standard bootloader - we just have to emulate standard Arduino sketch upload process on the gateway side. But I am not sure if it's possible to do with half duplex protocol. Just an idea. Interesting idea. Looking forward hearing about your results. If using the standard bootloader, wouldn't it break the FW update if one of the other nodes on the bus starts to transmit? Node will listen RS485 bus before it will try to transmit anything (just like Ethernet). But we have another difficulty: standard bootloader know nothing about TX/RX (dePin) management. So, we need to modify it to be able correctly emulate Arduino upload process. Maybe a simple schematics with diode will work in that case. I am still busy with other improvements. @hek I've tested your code and can't get it working yet. I've installed the gateway and a DHT22 sketch on two nanos and connected them directly via D8 and D9. The sketch is working fine according to serial output. But nothing is seen on the gateway. So, to find out, where there is a problem, I connected my Programmer (mySmartUSB MK3) to D8/D9 of the sensor and I'm able to see that there is output but the chars are not readable so I tried different baudrates than 9600. That didn' help. What I can say is, that the output is generated every 3 seconds, so the ports are right. To make sure I'm not doing something wrong with the programmer, I connected it to D0/D1 and switched baudrate to 115200 and it shows the serial output as expected. Any idea where to look next? So, I've tried to further invest the problem and there is something wrong with _dev.write() in transportSend(). It is too much C-Kungfu for me but there is something wrong with the conversion of data. The management of the DE-Pin is missing right? to is a uint_t...so I guess it could generate trash in the terminal when showing the low ASCII values. Guess you'd have to use some other program to view the bytes sent. Yes, de-pin was stripped away. Would it be useful in your setup? The de-pin is set to high if a node wants to send something, otherwise it is set to ground. I'll try to add that code. I Sorry.. should have changed those pin assignments of course... I'll push an update ASAP. I am wondering why did you remove the code responsible for dePin management ? It's not possible to use MAX485 boards without tx/rx management. @LeoDesigner : yeah, you're right, that is needed. But there seems to be another problem, I can't get the current development code to work. I've simply interconnected two Nanos at D8/D9. The gateway and the motion example come up fine according to serial output and the motion sensor definiatly sends something via AltSerial but the gateway doesn't seem to recognize it. A simple test, where I pipe the input on hardware serial of one nano to AltSerial on the second nano and from there to hardware serial works just fine, so hardware and AltSerial is working. I'm searching for a usb transport class, could i use this?? I'd like to connect my arduino (with sensors/actuators connected to it) to my rasberrypi through usb, without the wireless part, but still see them as mysensors sensors. Is this possible or could someone make a transport class for it??? I think they are using a some kind of serial to USB chip like CH340/341. So your RPi will be able to see RS485 bus as the regular serial port. It may work. It worth trying, you can always build an Ethernet GW later in other case. I am using exactly the same MAX485 modules. It is much more reliable media comparing to radio communication. Thanks for adding DE pin management code. I am not sure if it can be useful.. I have read this note recently, about rs485 powering chip (3.3v or 5v). And I found this interesting, for knowledge.. So what I understand here, and it makes sense, is that : even if some rs485 chips are able to be powered with 3.3v or 5v, if you want to power it with 3.3v, it can work of course with a 5v chip, but it is better to use a true 3.3v chip only. Because they are more sensitive to be rs485 compliant (better internal transistor). @TimO I cloned the current development branch, and tried to use a modified motion sketch, and a gateway sketch, simply interconnecting two mini-pros with TTL serial : the same problem appears. I can only see garbage sent on the AltSerial pins, so the gateway don't see the message. Before I dig more and start debugging, did anybody made progress on that problem ? @anti: I'm glad, I'm not the only one! I've tried to find the problem, but had no luck. What is bugging me: it was working with a early version, before it was merged into development, but I don't see any changes. I've not tested the latest / current version though. Glad to see 'wired' version of MySensor protocol coming. One question - how long wires and how many sensors on one pair/multiple pairs will be supported? I'm thinking about cabling for new home, which means many meters of cable to every sensor/door/actuator/ligth/meter etc. Currently I'm looking for a cabled version of protocol to support it and be 101% stable (no hiccups and freezes over the protocol), so I can rely on my home. MySensors seems to be great to implement, but I'm worried about the signal... I was thinking about letting something around 12-24-30V thru one pair of Cat5 to power all nodes from one power-source (with backup batteries). Or - are there any better alternatives for RS485, that doesn't need resistors, have no limitations of 32 devices etc? "It offers data transmission speeds of 35 Mbit/s up to 10 m and 100 kbit/s at 1200 m. "
You may design a bus with up to 256 nodes. CAT5 is the best choice anyway for any type of communication (I mean you can run regular Ethernet on them too). Check the video at the beginning of the post. It's a working example of two remote nodes connected only with one CAT5 cable over 50m. They are working at 115200 - however speed might be up to 1 Mbit/s. @LeoDesigner but how would I connect all sensors in house and relays too? SOme resistors needed? Star topology? Few gateways? The star topology could be a problem. However for low speed nodes this may work anyway. You may need something like RS485 hub or a GW with many RS485 bus ports. Or just a separate MAX485 board for each node. You need to test it. @TimO Well... it turns out that the garbage seen on the wire was not garbage, just the binary serial protocol. And the node was desperately attempting to find a parent, with no success. FYI this is how I workaround it. But I did not feel like I could fix it for 100% sure. for dynamic nodes IDs to function properly, since it's the controller's job to affect the node ids. This explains a part of my original problem. 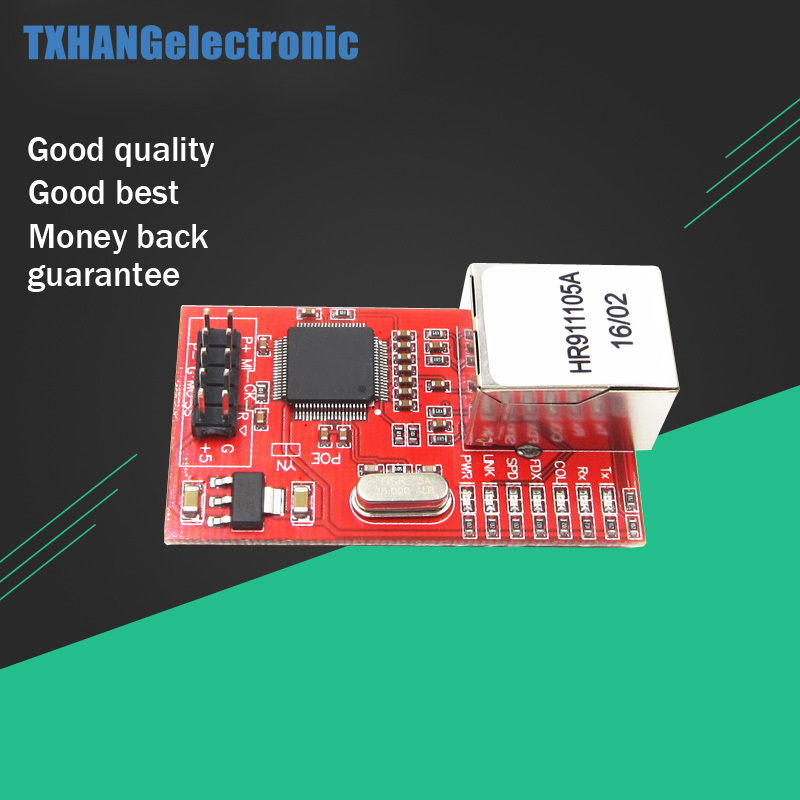 I think, that CAN transceiver chip is better then RS485 transceiver chip. Then we dont need direction setting pin and bus state is better determined, becose CAn bus is prepered for bus collisions, RS485 not. I mean only CAN bus transceiver, not CAN controller ! For example MCP2551 or MCP2562. And we can use normal serial library. @kimot what would be the CAN topology needed? They are five times more expensive. But it might be another option for wired network too. @andrej it is still a line not a star topology. Ok so if it's line-wire, then maybe I could wire all cat5e's to one patch-panel, terminate them there and from the patchpanel I could daisy-chain them on one magistral connection and also feed the 12/24V on one pair (i.e. orange/white orange) and data (i.e. blue/white blue). How do you guys think it would work for cables in-home in-wall? I guess the power feed would work ok (even including the voltage drop) but what about the RS485/CAN length? I plan to run cat5 to every switch. Still can't decide if I should connect on-wall switches straight to Arduino (to control relays further) or to use small arduinos inside every wall switch to better control sensors there (temperature on wall) and possibility to program every switch differently. The idea is to get every wire to basement anyway. RS485 was not designet for multimaster communication, where 2 devices can communicate on the bus at same time. RS485 bus state at this time is not defined. For example if node on RS485 on one end of bus sends message end perform "control" lisening on bus if recieve the same message( what is with correct circuit of RS485 transsiever immposible ), then this received message can be the same. But if in the same time another node on oposite end of bus sends different message, then node on the middle of bus recieves something random. @kimot Thank you for the information - your english is good enough to understand. I'm just looking for more simple protocol than ethernet to send data from various places - wired. Just put CAT5e to every place (or even two CAT5e to each TV, room - as I done myself). Later you will decide what kind of signals will travel over CAT5e wire. It can be Ethernet or RS485, CANbus, or something else. Regular twisted pair Ethernet is also has a star topology with central hub/switch. (You may also remember an old Ethernet system with one base cable and terminating resistors on the both ends). For a really long distance - RS485 is the winner anyway - up to 1200m on slow speed. @LeoDesigner I will put cat5e for 'LAN' purposes to proper socket, but I also want to control my lights not via connecting/disconnecting 230V in-wall, but in central control panel. I was planning to use doorbell push buttons on walls just to give signal to automation and then MCU will set proper relays/dimmers on/off etc. That's why I was thinking about putting cat5e also to on-wall switches, then on 1 pair make the +/-12V signal, another pair for data bus etc. And now I'm looking for most efficient way to connect it everything together. @andriej remember to calculate how much current you can take thru cat5e and how much load there can be with one pair. Still struggling with decision either to use the CAT5e just as a loooong cable to (doorbell) switch or use it to PoE small nanos all over the place and run i.e. MQTT on each wall-switch separate. @kimot what has to be done to prepare MySensors to use CAN? I'm thinking about ordering some modules for tests. Which components do you have in mind? I 'm thinking in that direction too. @TimO this small W5100 module: http://www.aliexpress.com/item/TOP-Mini-W5100-LAN-Ethernet-Shield-Network-Module-board-Best/32457200047.html with step-down dc converter. Cheaper than the PoE standard version. I think, thet using hardware UART is absolutely necessary. After correct CAN controller configuration, we simply write a message to the CAN controller and forgot about it. No check or bus arbitration. And through interrupt pin from the controller just pick up the incoming message with our ID or broadcast. I know it's not as simple as using only RS485 transmitter itself, but we are guaranteed connecting maximum of 110 nodes and various libraries for Arduino for this CAN controller exist. But on the other side, with simply CANbus, we have got only 8 byte payload for our data. Thanks for pointing to mrbus.org. I have seen this before - it's really nice implementation of RS485 bus management. I have both the radio and wired mysensors network. And wired network in order of magnitude is more reliable. I have a really small amount of lost packets. The packets are retransmitted only due delay in the code of the nodes. HELP: Please instructions on how I can run this RS485 transport class for beginners. First point instructions: File "SerialTransport.h" and "SerialTransport.cpp" download to C:\Program Files (x86)\Arduino\libraries\MySensors[here]. is this correct ? In what file i must put this line "#include <SerialTransport.h>" ? main sketch ? The third point instructions: Replace transport class with: "Replace transport class with: " where exactly ? Maybe I have a different version MySensors because I can not find the declaration "#define MY_RADIO_RF24" and replace it with a "#define MY_RS485". I do not know how to change the NRF to RS485 in lib MySensors. Please precise instructions with examples for the current version lib MySensors. Can I get examples of sketch (confirmed that work with the physical bus RS485) Gateway and sensor. I use Windows, path of arduino lib is: C:\Program Files (x86)\Arduino\libraries. It sent the sensor by the RS485 to Rasberry PI. So the RS485 is working properly. Sorry for my English and thank you for your help. In the examples, there is no information on how to disable the radio NRF24 and enable RS485, this is my main problem. MySensors still try init Radio NRF, because no radio connected in sending "radio init fail"
Will show photos when I finish. It is this line that activates the RS485 transport (also note that no radio is activated). I haven't had the opportunity to test this thoroughly. So there might be issues. It is doing nothing and changes nothing. This constat value is only on exmaple sketch. It is not a reference to the constat value in the library MySensros and mysensors-serial-transport. Searching 1628 files for "MY_RS485"
??? I still do not know how to use the RS485 instead of NRF24 ??? That's exactly what I looking for !. In my version of the library that are missing. In my version of the library that (supports RS485) are missing. I downloaded the Library https://github.com/mysensors/Arduino/archive/master.zip this is my problem. Should I download from https://github.com/mysensors/Arduino/tree/development/libraries/MySensors. The last question: Do I have just these two files download and replace from second url and that all ? You'll have to download replace everything in MySensors library folder. You have to use a stable 1.5.2 version for my RS485 transport class. Not a development branch. You also may want to try development version too. The instruction was written for 1.5 (1.5.2) version of mysensors libs. #define SKETCH_NAME "FakeMySensors 485 241"
You have to decide which version of the library to use. It's tested and working. BTW, I will upload updated version in a few minutes to github. USB port of the Arduino Nano plugs in to Raspberry PI and set MySensors USB gateway in Domoticz ? Gatwaey to communicate with RS485 uses AltSoftSerial ? Whta PIN ? R0 / DI ? Gatwey Arduino Nano to communicate with Raspberry PI (Domoticz) use hardware USB (built in RS232) ? Gatweway don't have Debug mode (no free RS) ? When uploading have I must turn of debug mode in MyConfig.h when use RS485? PIN 2/8/9 connected directly without pull-up resistors or current limiting ? What uses to communicate with RS485 bus ? Hardware RS232 Pin RX /TX or AltSoftSerial Pin 2/7/8 ? If use AltSoftSerial: PIN 2/8/9 connected directly without pull-up resistors or current limiting ? When uploading have I must turn of debug mode in MyConfig.h when use RS485? I made a test: did the system sends data from the sensor DHT22 to the rail 485 using only library AltSoftSerial and everything works properly. So the connection is ok.
Uploaded example MySensors Gatwey 485 and own code. Unfortunately, nothing works, no reaction, empty on debug console. Any ideas what could be wrong, what to check ??? Sorry to hear, I still haven't verified this so there might be problems. Would be excellent if you had the time to debug it. Hi I've tried a couple of months ago with success. Maybe you have to connect also the GND cable each other. I have tired similar configuration as radekzm. 2 x Arduino nano connected via RS485 and is looks like only rs485 is not working so my question is; How to verified that connection between to arduinos using library AltSoftSerial is ok ? Are this connections PIN <-> RS485 (below) OK ? I'll help when I get back from work. Anything wrong with my sketches? response. Multiple bytes of data may be available. but you just need to know when the input changes from one state to another. state change detection, or edge detection. Personally I am assigning a static ID to nodes, so I did not tested an AUTO option in gw.init. However I think this it should work. Also make sure you are downloaded a latest Serial transport class from github with some minor corrections. Thanks for the help. I made the changes you pointed out, but still no lucky. What controller are you using? This should work in a direct crossover connection too? I am using a custom controller based on the node-red, mqtt broker and homeassitant with mqtt bindings. But this is not essential - you can use 'nc GW_IP GW_PORT' from unix command line to issue commands to gateway directly. Try to separate your basic building blocks to smallest parts and then debug it. @LeoDesigner I still could not make it work in 1.5.2 with your library, but I will keep trying. Thanks! @hek I finally could make a gateway / sensor (Humidity) connection via RS485 using the development branch. Is any Controller compatible with the development branch? Thanks! Great to hear. Did you need to make any adjustments? Yes, the serial protocol is backward compatible. So any controller should work as good. @hek None. Works out of the box. But I could not make it work with Home Assistant. WARNING:mysensors.mysensors:Error decoding message from gateway, probably received bad byte. @LeoDesigner My 1.5.2 RS485 Humidity sensor send the same messages as the example Humidity sketch, but shows a lot of 'X' and '?' characters at 115200 in Serial Console. Do you know what can be causing it? Am I doing anything wrong, again? My library is using a standard hardware serial port of arduino - you have to disable debug option in MySensors config and use the serial port only for RS485. The 'garbage' you are receiving are actual binary communication packets intended only for RS485 bus. You have to disconnect your serial to usb adapter in case if you are using Arduino Pro. Please take a closer look to the video and schematic coming with the library. You can use and 'sniff' your serial console - but you must to disable any additional serial debug prints to the console in production mode. Remember - your serial console is a RS485 bus with this library. #define TRIGGER_PIN  5  // Arduino pin tied to trigger pin on the ultrasonic sensor. #define ECHO_PIN     6  // Arduino pin tied to echo pin on the ultrasonic sensor. NewPing sonar(TRIGGER_PIN, ECHO_PIN, MAX_DISTANCE); // NewPing setup of pins and maximum distance. But I expect to see some message on controller. What can I check? Do you see and mistakes ? I am new in mysensors and arduino however I already use domoticz with mysensors and rflink. Everything is working fine however now I plan to renovate my house and I would like to put wire connection using max485 and arduino. Problem is that it is now working I have tried 1.5.4 version and also development branch. It seems that signal is not getting to gateway. I nothing see on arduino gateway except of initalization gateway. I have started to use two nano but I also tried combination nano and mega without success. I would be very appreciate if someone who done it could more describe how to make that it works. I tried https://arduino-info.wikispaces.com/SoftwareSerialRS485Example and it works fine. @radekzm Please use private chat/PM if you don't intend everyone to read it. Hi, I am trying to do almost the same, but I would like to use softwareSerial instead of altsoft. The reason why I would do this is that i can barely fit the arduino nano inside my case, and an additional rs485 module would not fit and that I have 8 nodes connected on the softwareserial . I have tested software serial on arduino and it seems to work fine up to 15meters, I also adjusted the baudrate to 9600 since my node does not send out/receive large amount of data. I read that you did some work on software serial and were wondering if you could take a look at this thread. Is there any how-to's on this transport class as far as the hardware goes? How does it work with multiple nodes? Is it like a ring pattern? or do all the nodes have to have a dedicated connection to the gateway. Depends on your physical transport layer. I would say a multidrop link where everything is in parallel..
Is it possible, to built a esp8266 wifi gateway and communicate GW to node with rs485? In altsoft esp8266 is not decleared, so i can't use it out of the box. @hausinger I don't think so. I haven't heard of anyone trying. I guess you'd have to replace alt-soft-serial with something else. @hausinger if you know about coding..
or use stock arduino esp8266 software serial lib (https://github.com/plerup/espsoftwareserial), and inspire yourself from lib above, and code your CE pin management..
Any reason why this lib is not using Serial1 or Serial2 on Arduino Mega 2560 instead of AltSoftSerial? No, not really. Just that not many that uses 2560. How about adding the following define to use the Serial1/2 on Mega. I have not tested yet but assuming the AltSoftSerial lib has the same interface/functionality it should work. Looks like a neat solution. If it verifies ok, please create a pull request agains the development branch. I understand that the RS485 is a separate gateway to communicate. Is it also possible to have the wireless gateway and RS485 gateway combined? @hek Thanks for the quick response. I'm looking for some direction (this might not be the right forum). I want to create a node to control my Itho Ecofan ventilation box. I now have a working program (thanks to the help of Rogier Reedijk The nodo now uses a CC1101 transceiver to control the box and thus uses the SPI bus. I'm looking for some direction to use this transmitter as part of my sensor network so I can control it from my Domoticz. Hope you can give me some directions how to proceed. Why do you need to hook it up to RS485 wired network? Can't you just forwards commands to the CC11001 from any radio node or the gateway? Is it then possible to use the two radio's on one node and share the SPI bus? Yes, if the CC11001 behaves correctly. I have a problem running gatewayserial to rs-485 and the node with the usual lightsensor. NODE # 1 as a gateway and tried to upload a sketch of the library 2.0 and 1.5.4, and the monitor serial I can not see any data, I use to check on the serial PuTTy com6 because the converter rs-485 to USB is connected to the PC. NODE # 2 as a light sensor, during the upload Sketch by arduino programmer for serial monitor can see the data being sent but after plugging arduino to rs-485 as below no longer visible. My question is whether I have something wrong with the connection or sketch, can someone show an example of a complete sketch for the gateway, and a node? TX and RX Connect was to pins 0 and 1 in arduino or 8 and 9, DE is always PIN 2. Looks like you got the pins to the Arduino wrong. I need a nice picture done in fritzing (or similar) for an article on the main site on how to connect the RS485 module (atmega 328 enough I guess). Anyone volunteering in making one? so this is a 1 to 1 setup right? There is nothing here for multiple serial nodes correct? Aren't they just daisy chained? On thsi connections with pins 8,9,2 ofcourse and library mysensors 2.0 should works fine ? Yes, people have reported the RS485 transport working above. So what's with the DE+RE pins on that USB-RS485 converter? Will it even work in this configuration? I do have such converter but so far I've used the arduino as a SerialGateway to connect to RPi. The only difference is that I've added SketchInfo for the GW and used Serial1 on MEGA board instead of AltSoftSerial. As you see it takes a fair amount of time (around 30-40 secs) to obtain the readings from the sensor. This happens each time I reset the sensor node but it works instantly if I reset the GW (i.e. the readings appear instantly after the reset). Is it expected behavior? 30 seconds sound like a long time.. Not sure what could be wrong. I don't have any test setup here unfortunately. I am wondering if I can just use the mySensors Lib to pass on the data via another connection. Currently I have a Loxone Controller which accepts UDP and TCP/IP connections (and others, but I chose these). As gateway I have an ArduinoMega and the network is running on RS485. So my understanding is that I can setup the network with the mySensors code and all the data is collected by the gateway which passes the data via UDP to the controller. V.v. the controller sends the data to the gateway which passes tha data on to the correspondent node. Is there any project similar to this? Sensor for Vallox DigitSE RS485 ventilation system with integration into FHEM.